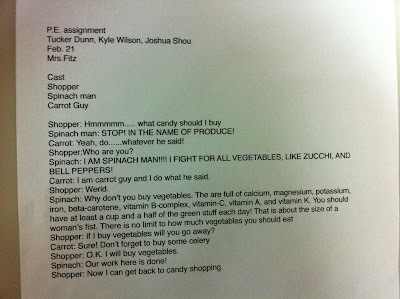 Stop in the name of Produce!! My fifth grade students really stepped up to the challenge of creating a fun way to present facts about the different food groups of the food pyramid/plate. 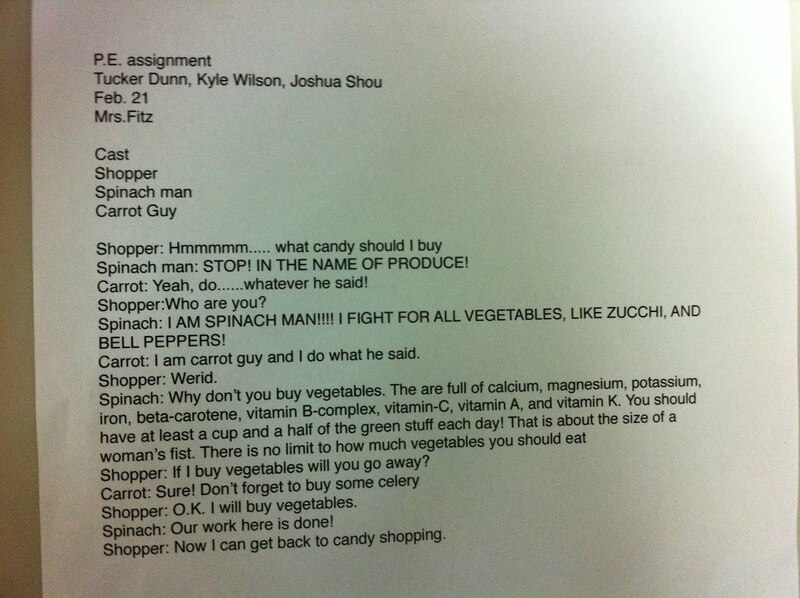 This particular group of students surprised me with a cute skit about vegetables. Mind you they are the more timid ones in the group, which made their bold performance all that much more enjoyable to watch!